Spain faces political uncertainty after new movements Podemos and Ciudadanos won nearly a third of the seats in the country’s election. 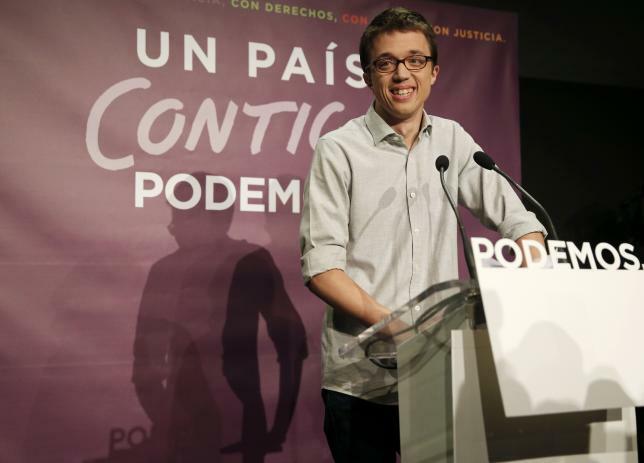 Anti-austerity Podemos and liberal Ciudadanos made big gains as the conservative Popular Party (PP) lost its majority. “Spain is not going to be the same anymore and we are very happy,” said Podemos leader Pablo Iglesias. However, Mariano Rajoy admitted that his party had taken some “difficult and even unpopular decisions” over the past four years as Spain struggled through an economic crisis. “Spain wants a move to the left,” he said. Spain’s unemployment remains high at 21%, the second-highest rate in the EU after Greece, although it has fallen from its 2013 peak of 27%. “Many people have lost their confidence in traditional parties,” said deputy leader Inigo Errejon. Podemos’s rise was also hailed by Greek PM Alexis Tspiras, whose Syriza party is its ally. “Austerity has been politically defeated in Spain,” said Alexis Tsipras, adding that the result was a sign that “Europe is changing”. Albert Rivera, leader of the fourth-placed party Ciudadanos, meanwhile said the election marked a new era for young Spaniards like him, who were born after the country’s dictatorship ended in 1975. “Those of us who didn’t experience the first democratic transition are experiencing a second one,” he said. Election turnout was 73.2% – up slightly compared to the 2011 election. In line with Spain’s constitution, after talking to each party, King Felipe VI will nominate a candidate for prime minister. This cannot take place until after the new Congress holds its inaugural meeting on January 13.